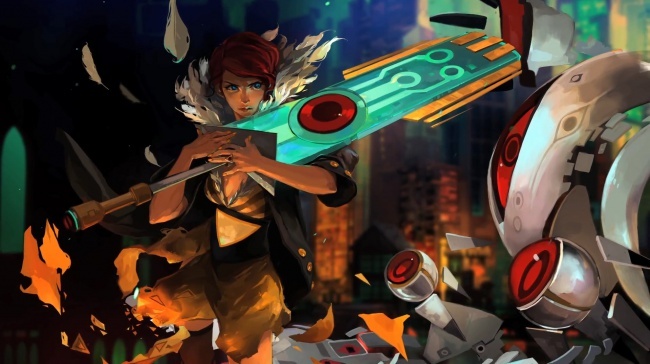 As indie game Transistor was announced at Sony’s E3 Press Conference as a launch indie-title on the Playstation 4, more information regarding its world and story are now being explored. The game is a mix between a top-down action game and 2D sidescroller within a surreal metropolitan setting, according to the trailer. The game is made by Supergiant Games, the same developers behind the critically acclaimed Bastion, a title you can find on iOS, Mac, Linux, OnLive, Steam, Xbox 360, and Google Chrome. In Transistor, you play as Red, a famous singer on the run within the cities of Cloudbank, where a string of unknown disappearances and murders have taken place within the cultured walls of technology, elaborate architecture and fine arts. She survived an assassination attempt by a group called the Camerata, which killed her friend in the process. After finding a sword-shaped artifact called the Transistor impaled through his body, she discovers it allows her friend’s conscience to communicate with her. In the game, Red is under constant pursuit by entities known as the Process: robotic creatures that will stop at nothing to retrieve the Transistor. The weapon is incredibly powerful, and the creators stated that they want players to start with the ultimate weapon instead of waiting until the end of the game. From a story perspective its overwhelming power emphasizes the Process desperately wanting to take it. According to the game’s demo, it plays as a real-time action game with instances where players can pause time and organize attack commands, as if it was a turn-based RPG. Upon defeating enemies, players can collect glowing objects called Traces, which are remnant souls by deceased individuals – like Red’s friend, who is communicating through the Transistor. Your weapon can gather Traces to acquire new abilities and make Red stronger. As Red continues her adventure, she will learn about the mysteries of the Process and their connection with the Transistor, as well as the attacks by the Camerata. 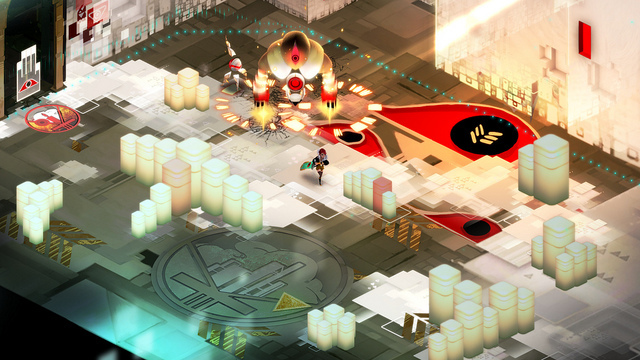 Transistor will be available for Playstation 4, OSX, Linux, and PC on Steam. It is expecting a 2014 release.